Welcome to Klein Electric Guitars! We masterfully craft these innovative, ergonomic, and toneful instruments by hand. Put together with extreme care for each customer, these electric instruments are known for their versatility, playability, and tone unparalleled by any other modern day guitar. Please explore this site and discover for yourself why these guitars are known as some of the most innovative and sonically diverse electric guitars. 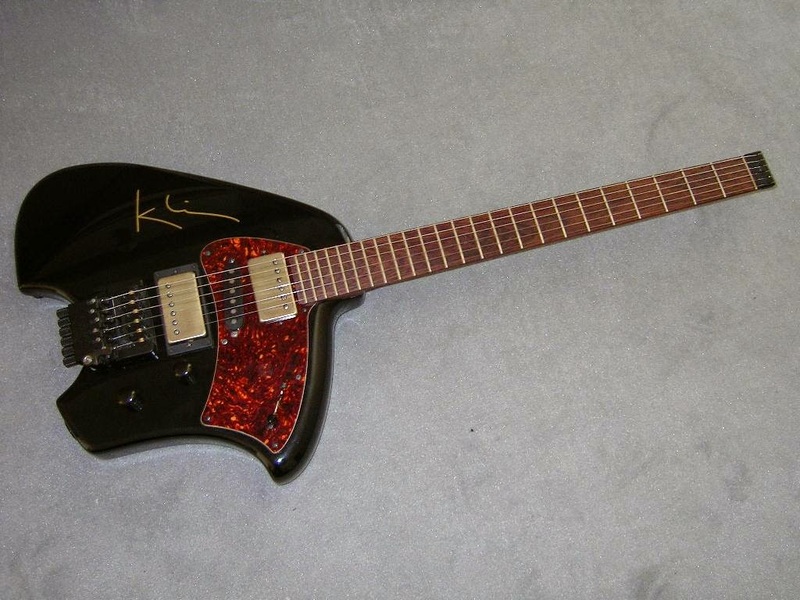 Klein Electric Guitars offers two basic guitar models: the DT-96 and the BF-96. Both guitars feature a one-piece rosewood bolt-on headless neck, a Steinberger S-trem bridge, tone and volume controls and pickup selector switch, and a 25 and 1/2 inch scale length. Both guitars have an overall length of 31 and 1/2 inches. Note that guitar and component option prices are subject to change without notice. Please call for current prices. The DT-96 has a basswood or alder body finished black or pearl white, and comes standard with a Seymour Duncan Jazz pickup in the neck position and '59 pickup in the bridge position, and weighs 7.5 pounds. Pickup options for the DT-96 are a Seymour Duncan Alnico II Pro in the middle position, a Joe Barden Tele neck and Two-Tone bridge, or Joe Barden Two-Tone neck, Strat Deluxe middle, and Two-Tone bridge. The BF-96 has a Swamp Ash body finished black or gloss white, a Seymour Duncan Jazz pickup in the neck position, an Alnico II Pro in the middle position, and '59 pickup in the bridge position, and weighs 6.5 pounds. Joe Barden pickups are available for an additional charge. The BF-96 is available with a chambered body. The K-Bass represents some of the most innovative design and technological advances in recent years, and offers an unmatched "total bass concept" of sound and playability. 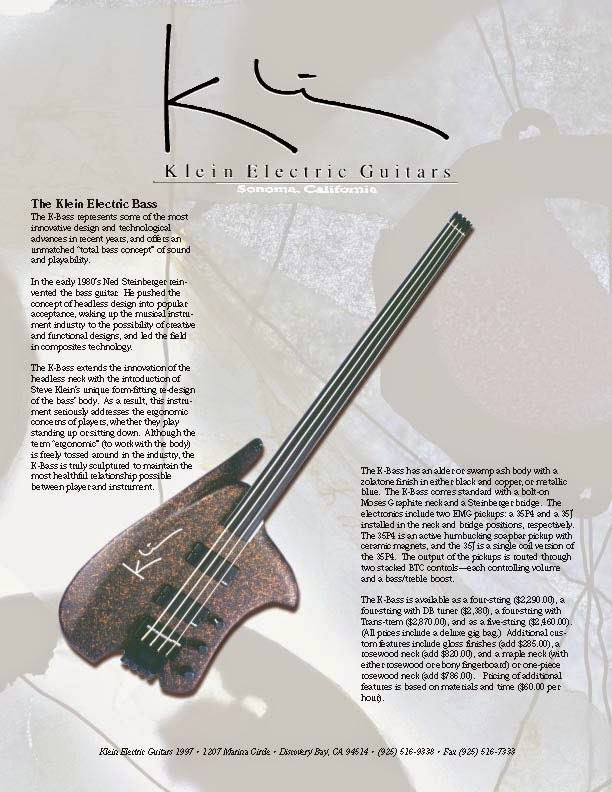 Klein Electric Bass In the early 1980's Ned Steinberger reinvented the bass guitar. He pushed the concept of headless design into popular acceptance, waking up the musical instrument industry to the possibility of creative and functional designs, and led the field in composites technology. The K-Bass extends the innovation of the headless neck with the introduction of Steve Klein's unique form-fitting re-design of the bass' body. As a result, this instrument seriously addresses the ergonomic concerns of players, whether they play standing up or sitting down. 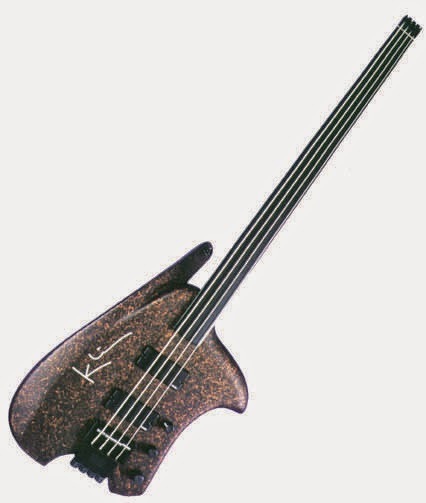 Although the term "ergonomic" (to work with the body) is freely tossed around in the industry, the K-Bass is truly sculptured to maintain the most healthful relationship possible between player and instrument. 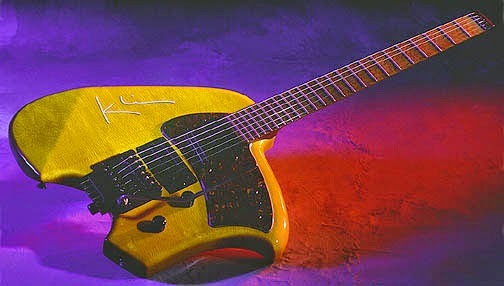 In the late 80's luthier Steve Klein was already renowned for building some of the world's finest acoustic guitars. For years he had been playing with an idea for an electric guitar - one which incorporated radical body designs for ergonomics and playability. But he could never get the design to work quite right. Ned was introduced to Steve through contacts at Gibson. At the time Gibson was trying to introduce it's own designers to other influential luthiers. Steve met with Ned and outlined the problems he was having getting his ideas to work. Ned suggested his graphite headless neck & hardware and the GK was born. 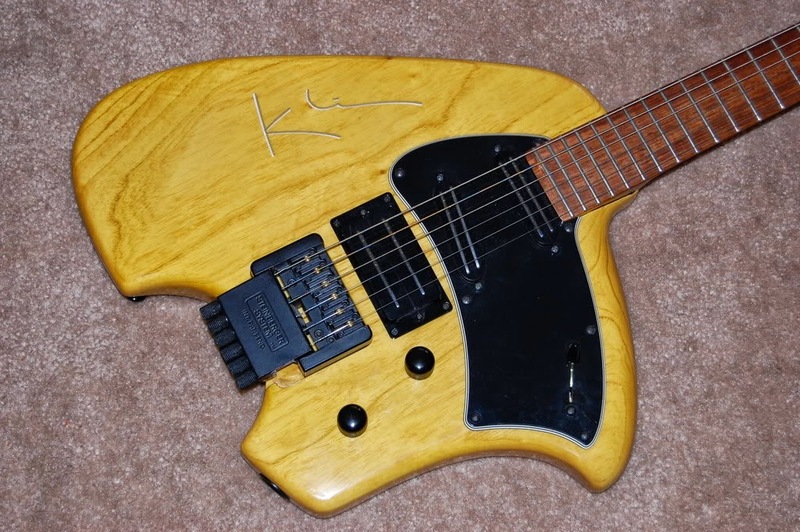 The original plan was for the GK basswood bodies to be produced by Klein in his California facility and then shipped to Steinberger plant in Newburgh, NY. There they would be married to Steinberger necks, bridges (TransTrems and S-Trems) and various electronics (various EMG's & Seymour Duncans, active & passive EQ). 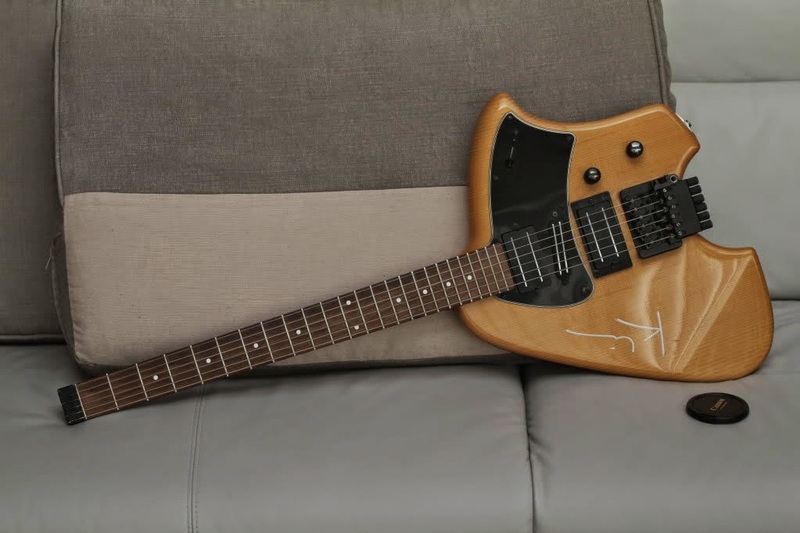 Once fully assembled they would be shipped and sold through the Steinberger dealer network as original Steinberger guitars. Note that though Klein went on to design a bass version, only the guitar was ever sold under the Steinberger banner. At the same time the GK's were coming out, demand for the other Steinberger models was far outpacing the factory's ability to produce them. A licensing arrangement was established whereby Klein would purchase necks and components wholesale from the factory. 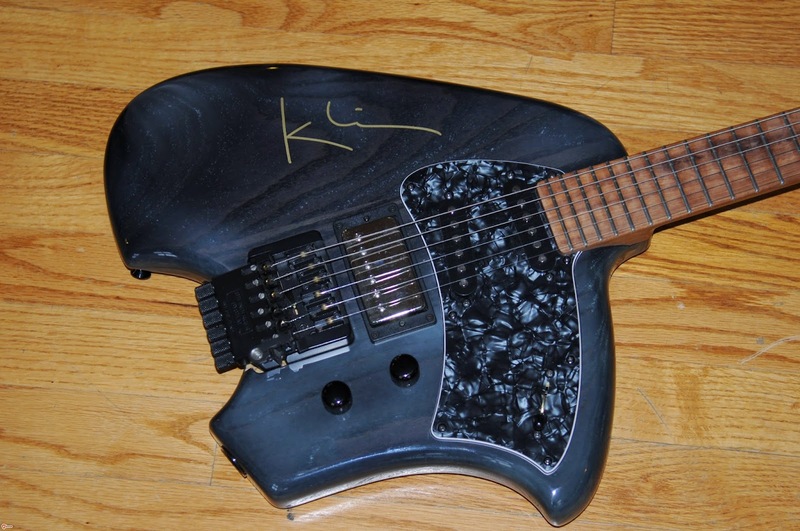 Steinberger would send these parts to CA, and Klein would assemble and drop ship the instruments directly from their shop. Gibson ended sales of GK's in the mid 90's. 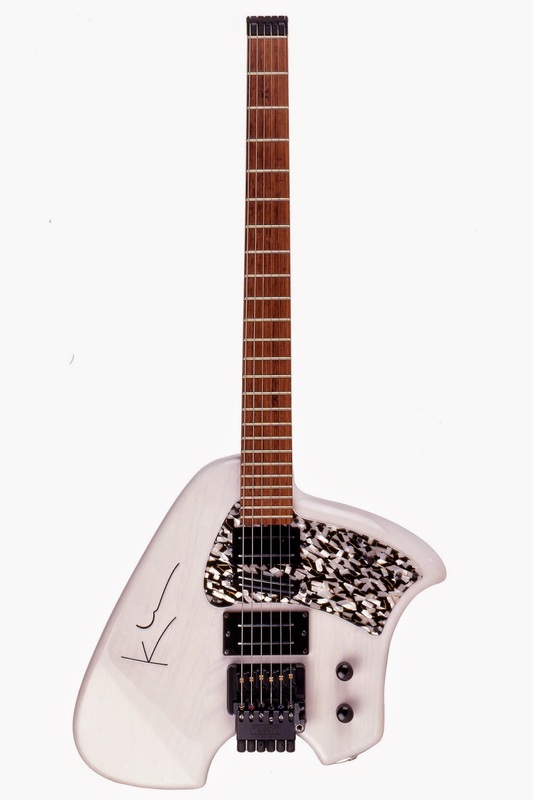 It's estimated roughly 250 Steinberger GK guitars were built and sold during the entire production run. Even after Gibson stopped selling them Klein continued making the instruments with parts bought under the licensing agreement. 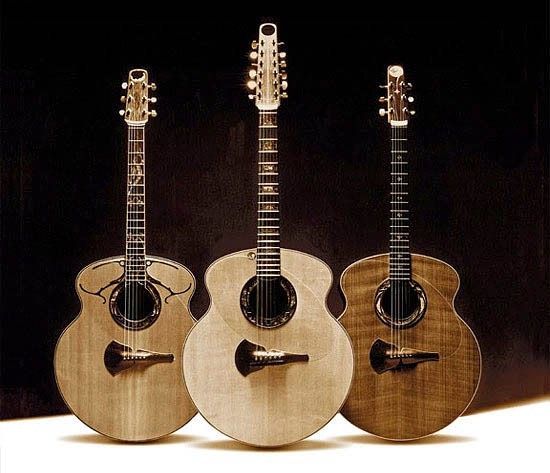 Though Steve Klein has returned to producing acoustic guitars exclusively, Lorenzo German (his right hand man during the GK production) still produces these same instruments under the banner of Klein Electric Guitars. 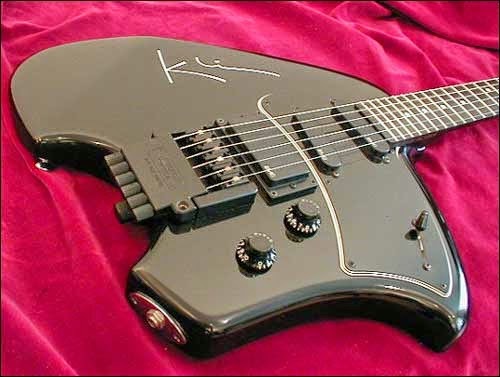 They still feature Steinberger hardware and sport a radical design that turns heads even today. No one designs or develops a new concept or product in a vacuum. The innovative Leo Fender was influenced by the earlier ideas of electric guitar pioneer/builder Paul Bigsby, as well as the many musicians he showed his prototypes to. And, in my own work on the Klein Electric Guitar, there have been three very influential people involved in its development. The first of these is my good friend Carl Margolis. We learned the basic chords together in the Sixties. Over the years Carl encouraged me to design an electric guitar that would be more comfortable to hold, sit or stand with. (The word I later learned to describe this was "ergonomic:" (Greek) meaning to work with the body.) 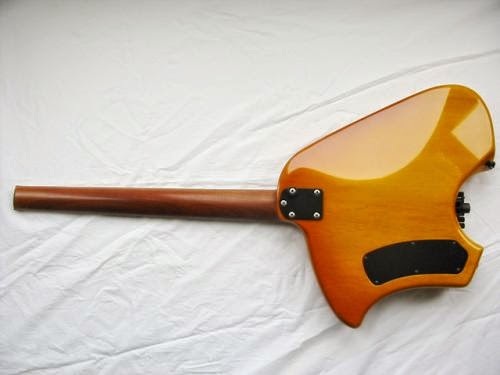 I reluctantly began experimenting and between 1976 and 1981 ended up with a series of large, strange and very ugly electric guitars. But dozens of drawings later, after finishing the fifth really playable guitar, I realized that a fundamental relationship between the center line of the neck and the waist, or where the instrument rested on the leg, had to change. This led to a guitar affectionately named "Lumpy" by David Lindley. 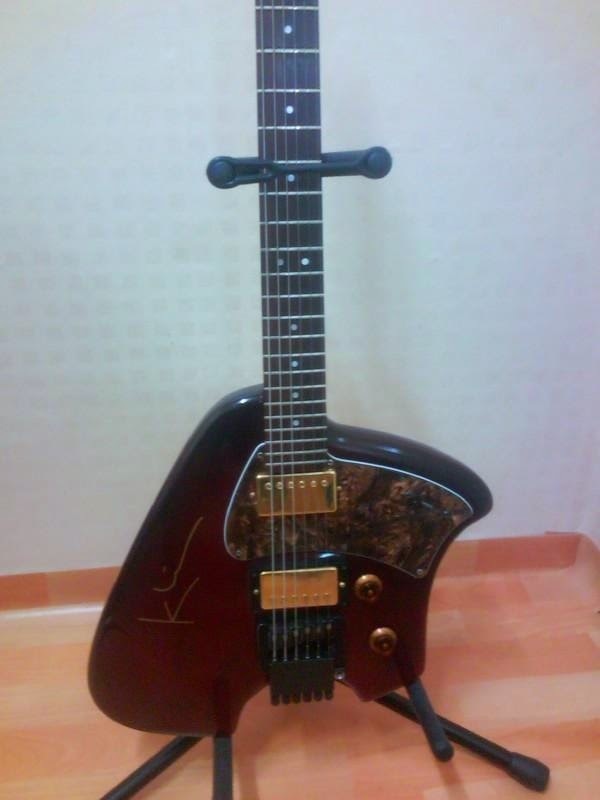 In 1986/87, Ronnie Montrose and I designed yet another guitar, the M/K. Ronnie has a great eye for aesthetics and I enjoyed developing ideas with him immensely. Although he was not interested in a compact design like "Lumpy", Ronnie's first drawings were surprisingly similar to Carl's first sketches. 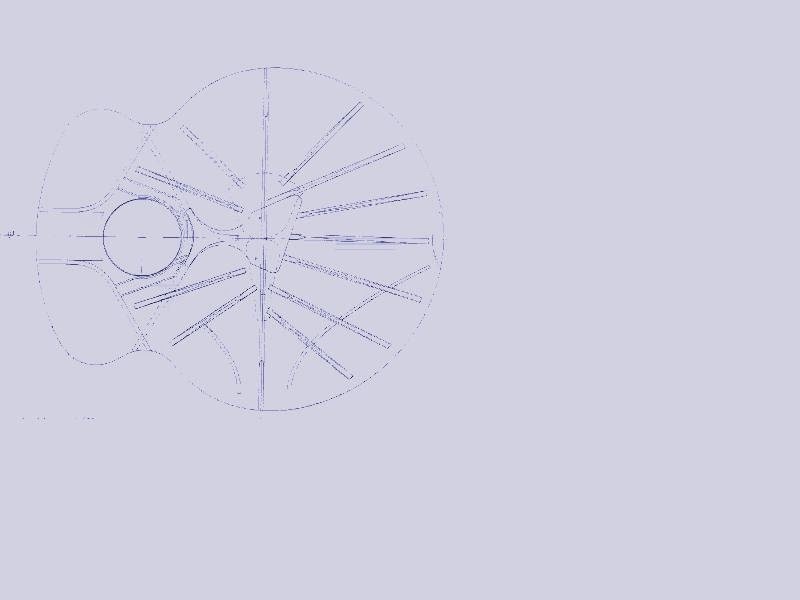 Together we designed a longer, more graceful instrument with three on a side peg head and smooth, lute-like line to the upper half of the body. 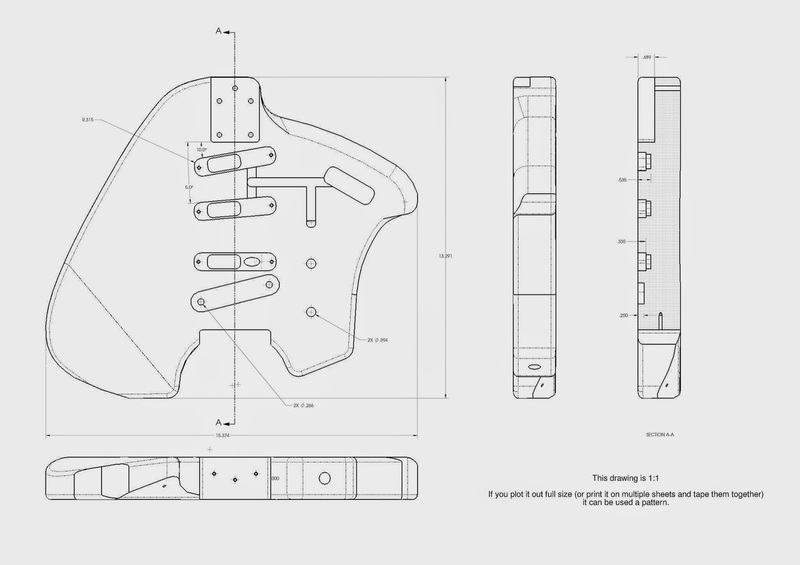 This process greatly developed my sense of solid-body electric guitar design. Finally, in 1988 I had a chance to get to know Ned Steinberger better. We had met at past music trade shows, but this time, at the the Gibson plant in Nashville, we had the time to trade ideas and talk at length. 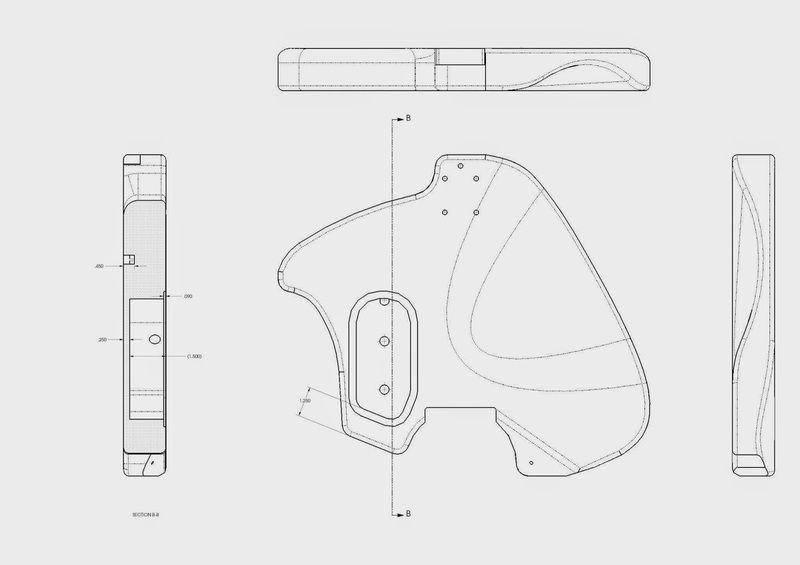 Ned's independent design became the next piece to the Klein design puzzle. On the flight home I had the realization that a headless neck would make "Lumpy" balance properly. 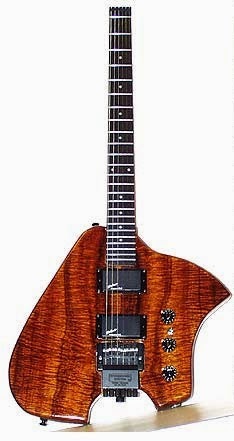 And "Lumpy" with the aesthetic lines of the Montrose/Klein guitar could work. After I returned to my shop, the basic concept for the Klein Electric fell together on paper in less than half an hour. But it had taken 12 years of ground work to realize it. Now the response from professional players, teachers and students alike makes me believe a valuable new product has been developed. Many thanks to Carl, Ronnie and Ned. The K-Bass has an alder or swamp ash body with a zolatone finish in either black and copper, or metallic blue. The K-Bass comes standard with a bolt-on Moses Graphite neck and a Steinberger bridge. The electronics include two EMG pickups: a 35P4 and a 35J installed in the neck and bridge positions, respectively. The 35P4 is an active humbucking soapbar pickup with ceramic magnets, and the 35J is a single coil version of the 35P4. The output of the pickups is routed through two stacked BTC controls-each controlling volume and a bass/treble boost. 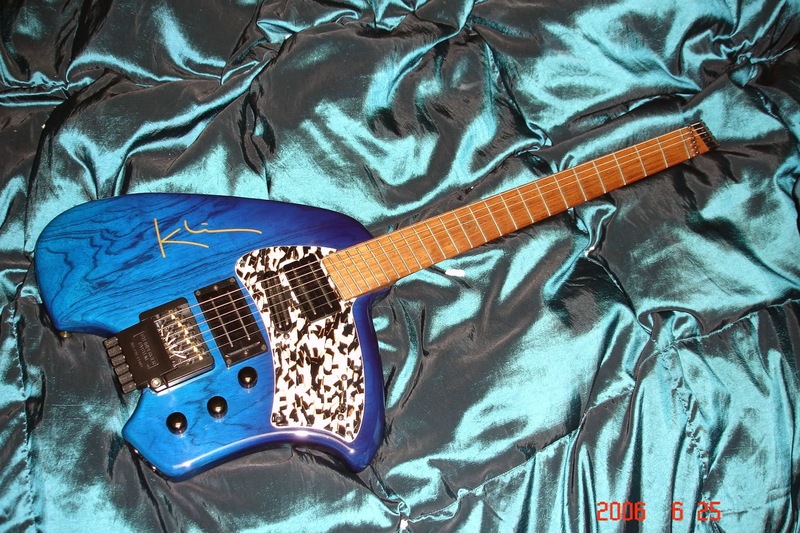 The K-Bass is available as a four-string, a four-string with DB tuner, a four-string with Trans-trem, and as a five-string. 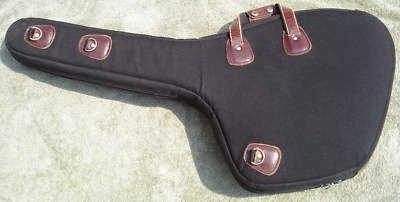 All models include a deluxe gig bag. Maple neck (with either rosewood or ebony fingerboard) or one-piece rosewood neck. 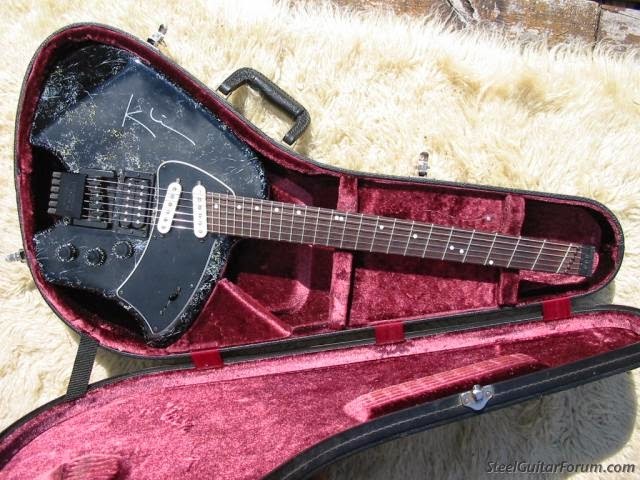 Much has been made of the design of the Klein Electric Guitar. It is important to consider what this means to you as a player. Klein Electric Guitar When you play the Klein Electric sitting down, the body of the guitar sets the neck at the optimum angle for your left hand to access the fingerboard easily and comfortably. Instead of moving your hand away from your body to play on the lower frets, and into your body to reach the upper frets, your hand and arm will move freely to travel the minimum amount to reach every fret on the fingerboard. And notice that the body gently curves away from the fingerboard, making all notes, even those on the highest fret, easy to reach. As David Torn states: "now my left hand can do what it is paid to do." Right hand technique is also facilitated by the Klein Electric. The upper "bout" of the guitar offers a convenient place to rest the upper arm and hinge of the elbow, providing stability for the right hand's actions in picking or plucking the strings. This is similar to the support offered by the body of an acoustic guitar, and offers the opportunity to apply methods described by guitarists with superlative right hand technique. Whether you are playing standing up or sitting down, the headless design and distribution of weight balances the guitar perfectly. Your hands are not burdened with the struggle to hold the guitar and to play it at the same time - they are free to move, to respond to the musical ideas you feel and hear in the moment. Klein Electric guitars are built for the player, not for the builder. So... what does this mean to you as a guitarist? It means that you can discover a new level of ease in playing the guitar, and find greater musical enjoyment and enhanced creativity. Comfort is only part of an inspired playing experience. As a player, you have most likely experienced the relationship between producing tones that you find stimulating and the way in which your musical ideas flow. When Miles Davis was asked why he took an extended sabbatical from music, he replied that he "stopped hearing his sound." When the sound coming from your instrument is a disappointment, making music is a struggle. When your sound is "right," making music can be effortless - music seems to appear as if out of the air. 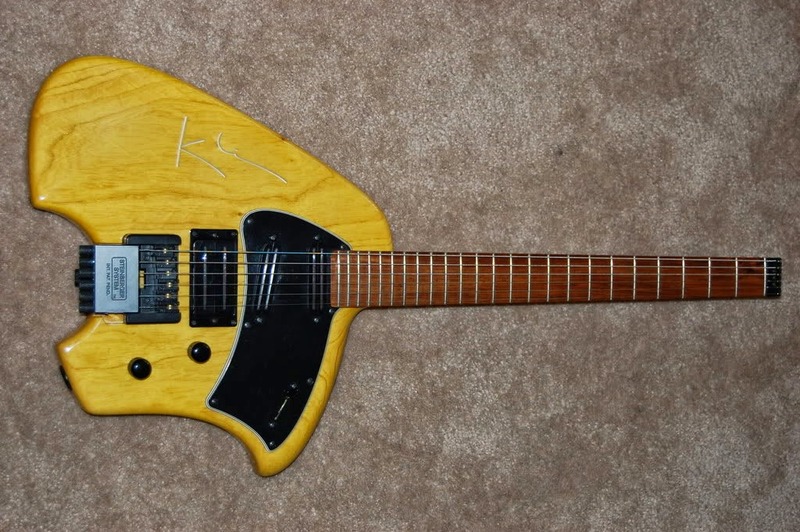 BF-96 Klein Electric Guitar Many musicians have remarked that they expected a difference in the physical sensation of playing a Klein Electric, but that they were pleasantly, even wildly, surprised at the exceptional quality of tone these instruments produce. This is understandable. 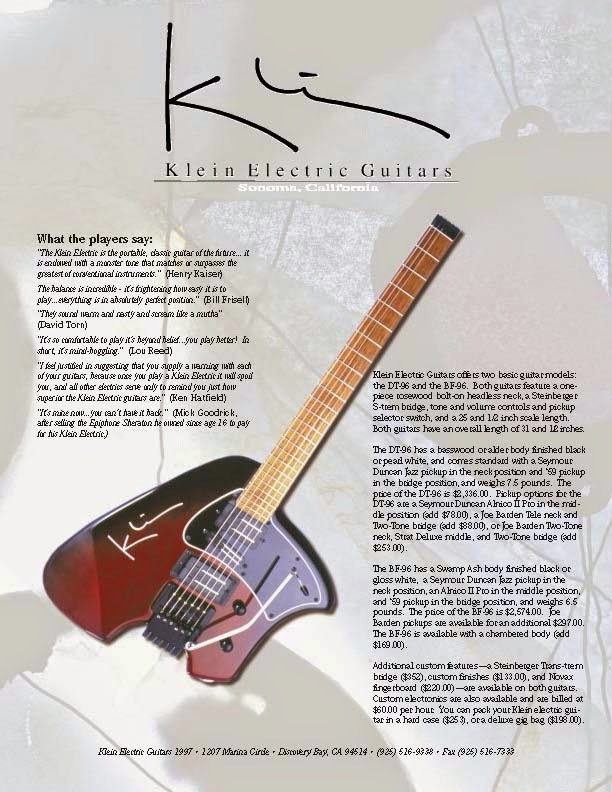 The shape and contour of the Klein Electric clearly suggests that it will not feel the same in your hands as other guitars do. While the thought behind the physical concept of the guitar is visible, the ideas responsible for the sound of the guitar remain hidden. 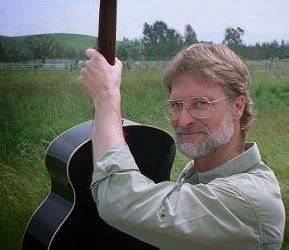 Steve Klein brought the experience which has earned him international accolades in building acoustic guitars and applied it to create superior-sounding electric guitars. 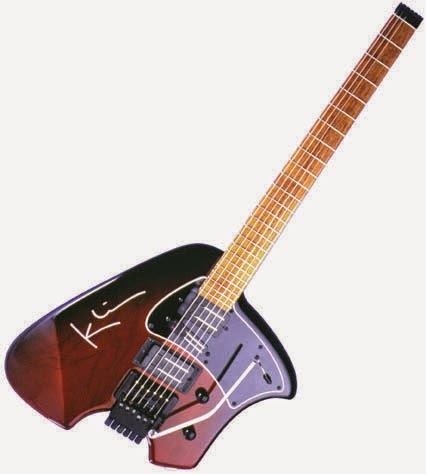 Although Klein took a radical step in creating a guitar that works with the guitarist's body, he did not neglect or sacrifice the ideal of creating a musical instrument. When you consider the players who swear by the Klein Electric, it is obvious they are not sacrificing tone for playability. It is easy to forget that the tone of the electric guitar is reproduced by the pickups, not created by them. The "hidden" ideas that create the raw musicality of the Klein Electric derive from attention given to the guitar's acoustic nature. If pickups were the sole source of tone in a guitar, we would likely be playing planks, strung up and equipped with very expensive pickups. But, this guitar ain't no plank! The combinations of neck woods, body woods, tone chambers, and pickups used in Klein Electrics are the result of thoughtful experimentation, and create a quality of tone which complements the playability of the guitars. From the open, smoky resonance of a basswood body matched with a graphite neck, to the brilliant sonic accuracy created by combining a swamp ash body and a solid rosewood neck, Klein Electric guitars have the power to fascinate the senses - they are dramatically easier to play, and remarkable to listen to. The Two Tone: Humbucker-style double coil pick-ups, designed for players who are looking for an improvement in tone, sensitivity and output, without being saddled with an inherently muddy or distorted sound. Wound separately for neck and bridge positions, the incredible low-end clarity and overall sustain of the Two Tone makes it suitable for virtually any purpose, from blues to rock to jazz. The Two Tone has an alternate tone that is shockingly close to that of a single-coil pick-up, of course with no hum or noise! 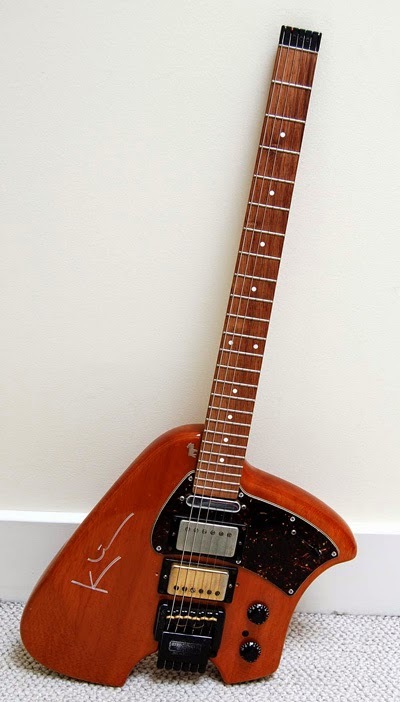 The Tele Deluxe: Danny Gatton assisted with the design and testing of this pick-up. The tone of this pick-up has been described as absolutely vintage, with enhanced fidelity that most players never thought possible. The output of this pick-up greatly exceeds those of stock pick-ups, retains the authentic tone of the instrument, and hum and squeal are completely eliminated. The Strat Deluxe: Similar to the Tele Deluxe, the tone of the Strat Deluxe is absolutely vintage, output is high, with hum and noise completely eliminated. This pickup is incredibly sensitive, giving you a wide range of tones and output levels simply by adjusting the height of the pickup. With this set-up the neck pickup is too "bluesy" for words, and the "in-between" settings are wonderfully hollow. The unique staggered blade design, common to all Joe Barden pickups, eliminates drop-outs on the outer strings. Bill Frisell has 2 Klein electric guitars. 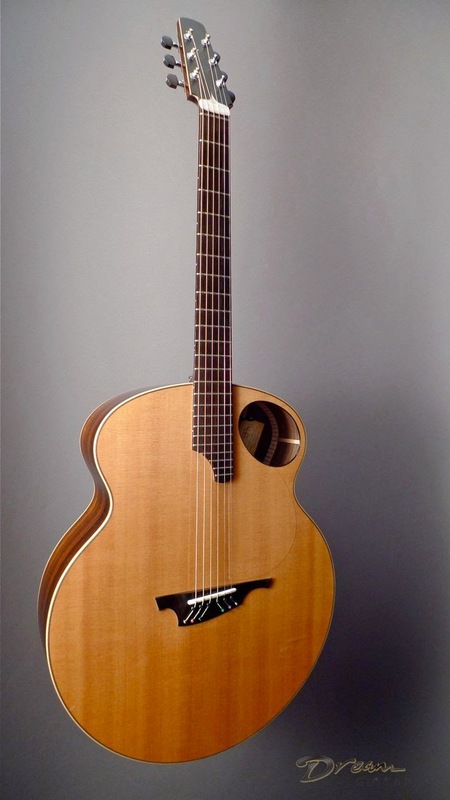 The one he uses the most has a chambered spruce body and a rosewood neck. The guitar has 4 pickups: a Seymour Duncan JB pickup in bridge position, a Bartolini 5J floating pickup in the middle, a Telecaster pickup at the neck and a piezo pickup in the bridge. The piezo pickup has a separate output so he can mix 'fuzzed-out' sound with 'almost acoustic' sounds. Bill uses the bridge pickup most of the time with the tone not rolled off. If you have a copy of the Klein Line in your hands, the odds favor you knowing about Bill Frisell. Which is a good thing for me... I'm afraid a description of Frisell's playing is going to fall far short of the mark. The way he stretches and skews conventional concepts of making music with the guitar reminds me of what Roy Blount, Jr. said of writer Barry Yourgrau: "Reading [him] is addictive, like putting peanuts into your nose and they turn into these spaceships or something." I spoke with Frisell in May and discussed his current release, "Nashville," an upcoming trio project, and Klein electric guitars. If you've seen Frisell perform, then you've experienced his humorous, warm, and shy presence. 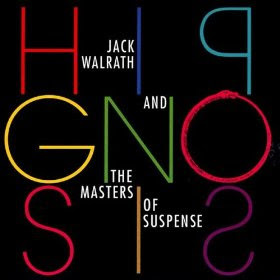 In conversation, he communicates genuine wide-eyed excitement, fear, and amazement in describing his musical experiences. Frisell's new recording, "Nashville," evokes a panorama of images and sensations: a rolling box car ride in "Go Jake," a quiet, peaceful cabin in "Dogwood Acres," the sweet carousel ride of "Family," and a playful and spooky game of hide and seek in "We're Not From Around Here." 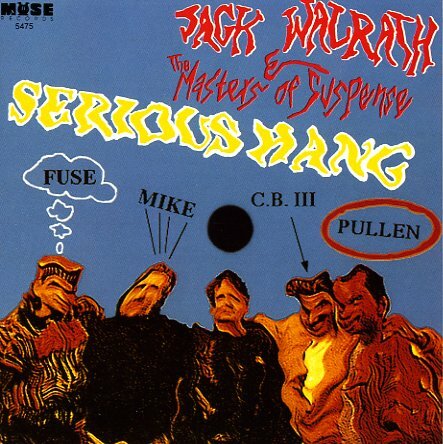 The disk features Viktor Krauss (bass), Jerry Douglas (dobro), Ron Block (banjo and acoustic guitar), Adam Steffey (mandolin), Robin Holcomb (vocals), and Pat Bergeson (harmonica). The "Nashville" project began as a suggestion from Bob Hurwitz of Nonesuch Records, who put Frisell in touch with Kyle Lehning. Frisell called Lehning up and found him to be "a super-nice approachable guy" Later Frisell was surprised to find out Lehning was a "big shot," the president of Asylum records and producer of Randy Travis. Lehning helped Frisell to make contacts in Nashville, with an emphasis on finding people with a strong bluegrass background "...that were young, open, and willing to try something totally haywire." Next, Frisell went to Nashville "to meet and say hello to folks," and then spent time "worrying, and trying to write tunes for that combination of musicians." 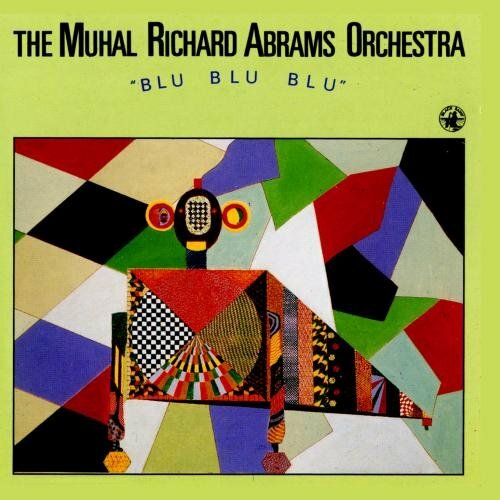 Finally, the recording was done in two parts, the second half with Jerry Douglas, who Frisell said: "totally blew my brains out." Frisell said that the "Nashville" project was "...much more frightening because I didn't know if it would work. Interviewers mention a country influence in my music, but I've never really played country music at all, with anybody." The suspense prior to the sessions was heightened by the way the project developed. Frisell sent tapes to musicians, but didn't write songs out as he usually does, because Nashville players read using the "Nashville numbers system." The sessions also took place without rehearsals. This wasn't a barrier as: "their ears are terrifying!" The recordings were: "really spur of the moment... it was a thrill counting off the first song - it felt great from the first note." Frisell is joined by Viktor Krauss (bass) and Jim Keltner (who has drummed with Bob Dylan, John Hiatt, Ry Cooder, George Harrison, and John Lennon) on an upcoming disk of original music on Nonesuch. While "Nashville" features a "quiet, acoustic feeling," the trio disk is "more electric." Frisell described his excitement in working with Keltner: "The older I get and the more experiences I have, opportunities come up to play with people I've always looked up to - [it's] a frightening, amazing feeling. [I'm] lucky to get to play with people [of this caliber], and have it work out, and feel good about it." Frisell met Keltner during his first collaboration with Ginger Baker, and he was impressed with how humble and approachable Keltner was. "He was so into what we were doing; his attitude was that he is just trying to figure out what he is doing." The trio disk was recorded after one rehearsal, and continued the buzz generated by the process and results of the "Nashville" sessions: "it was inspiring... a good feeling." Steve's grandfather was an ornamental caster in Austria. He took his family out of Europe to escape the war, settling first in St. Louis and finally in Northern California. Steve has inherited his grandfather's talent of transforming natural elements into practical and beautiful works of art. In 1991, Steve Klein and Bob Taylor began designing the AB series acoustic bass, which is now in production in southern California. Steve's shop is in Vineburg, a hamlet with no sidewalks outside of the town of Sonoma, California. 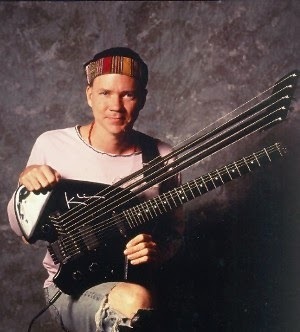 Artists who play Klein: Steve Miller, Joni Mitchell, Andy Summers, Joe Walsh, Bill Frisell, Lou Reed, David Torn, Stanley Clark, Billy Sheehan, Sting. 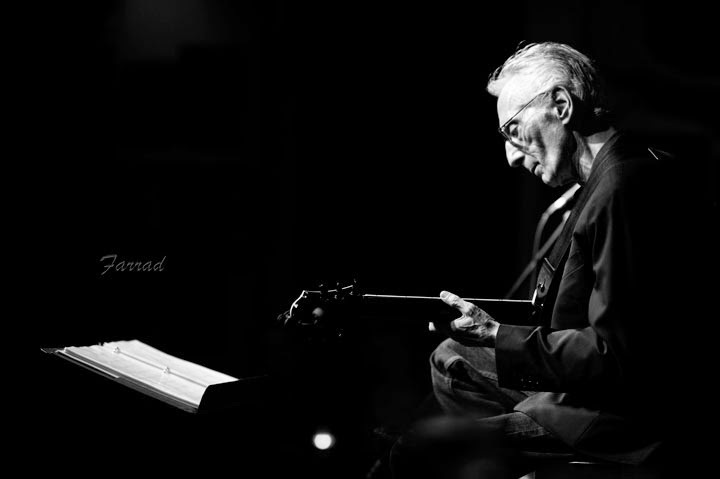 Pat Martino est une véritable icône du modern jazz. Guitariste de génie, il inspire plusieurs générations de musiciens par son style sec et rapide, son aura dépassant ainsi le monde du jazz. Riche de diverses influences musicales, l'artiste est un créatif qui aspire à une maîtrise parfaite de son instrument, instrument mis au service d'une philosophie musicale faite de passion et de rigueur. Aujourd'hui devenu une véritable référence en matière de bebop, Pat Martino est aussi connu pour ses superbes improvisations et sa technique quasi-parfaite. Un niveau d'excellence qui lui a notamment valu en 2004 le prix de "Guitariste de l'année" décerné par les lecteurs du magazine Down Beat. Pat Martino is a true icon of modern jazz . Brilliant guitarist , he inspired several generations of musicians through his dry and quick style, his aura surpassing the world of jazz. Rich in diverse musical influences, the artist is a creative who aspires to a perfect mastery of his instrument, at the service of a musical philosophy made ​​of passion and rigor. A reference in terms of bebop, Pat Martino is also known for its stunning improvisations and almost perfect technique. 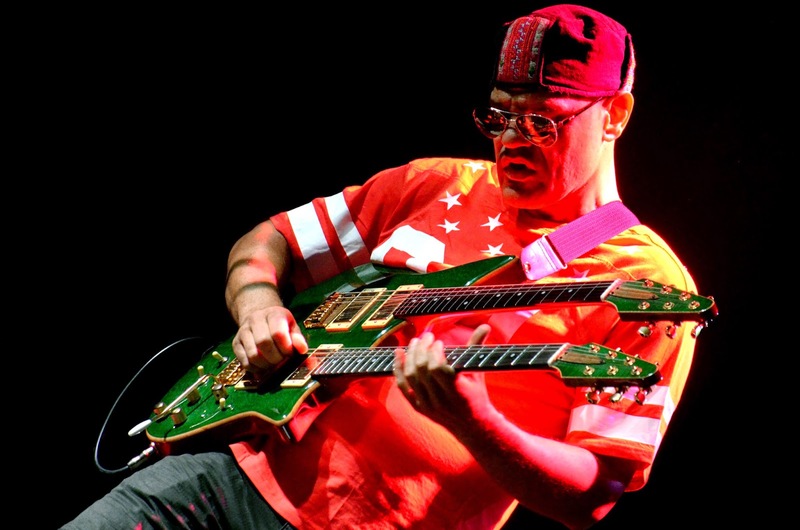 A level of excellence that has earned him in 2004 including the prize for " Guitarist of the Year " award by the readers of Down Beat magazine . The slaughter of his sword! Thou shalt not taste of death! Thy spirit on our breath! Thou shalt not be deplored. 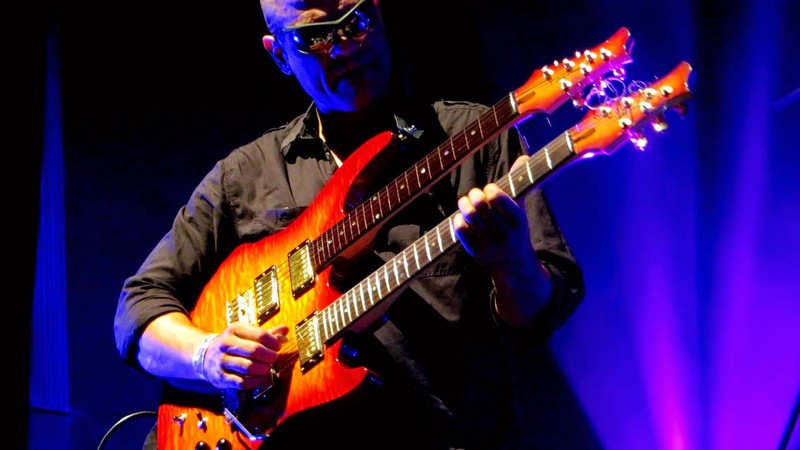 Iconoclastic and prolific jazz-rock guitarist David ‘Fuze’ Fiuczynski, a jazz player who “doesn’t want to play just jazz”, is an innovative musician that has released ten CD’s and a double live DVD under his own name, he is best known as the leader of the Screaming Headless Torsos. Just a year after, Fuze released another influential album as bandleader and primary writer, the cult hit by Screaming Headless Torsos “1995” for Warner/Discovery Records. 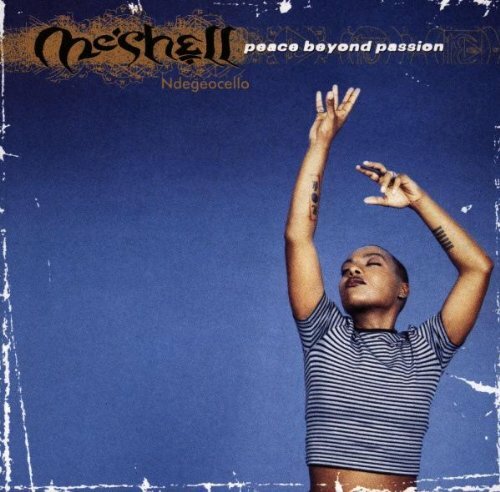 In 1996, they recorded a cd, titled “Live! 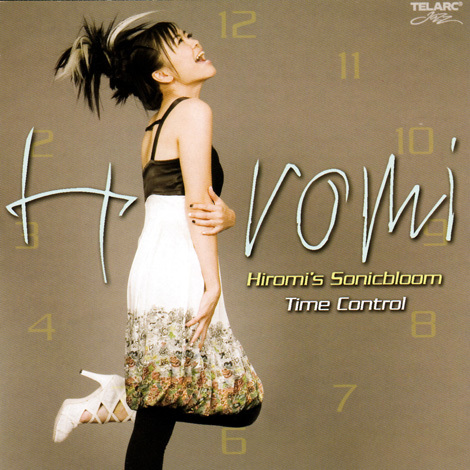 !” originally released in Japan on Video Arts Music. 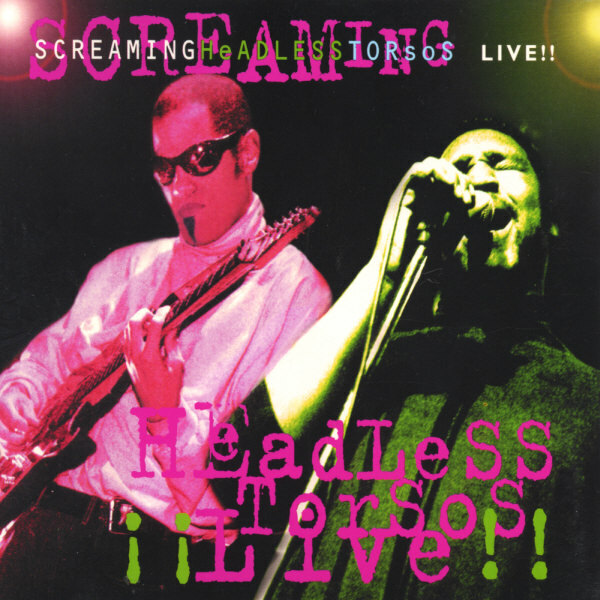 Screaming Headless Torsos returned to playing together in 2004, releasing a new studio CD,“2005”, a double live DVD “Live in NewYork & Paris” in early 2005, and a greatest hits complation “Chice Cuts” in 2006. The Torsos have featured many of the top New York and US musicians in their live performance lineups, but their recordings have all featured Dean Bowman, vocals, Freedom Bremner, vocals; Fima Ephron, bass; Daniel Sadownick, percussion; Gene Lake, drums and Jojo Mayer, drums (“1995”).They are now fronted by vocalists extraordinaire Freedom Bremner. Fuze’s solo recordings are an experimental mix of tradition with modern sounds and rhythms, a melange of funk-rock jazz, ambient textural improvisations, world-music elements, metal, reggae, house, dub, drum&bass and other new grooves topped with Fuze's unique writing, extraordinary soundscapes and passionate soloing. In response to the less than supportive environment for his unusual and uncompromising music in the corporate recording industry, David started a record label, FuzeLicious Morsels, to release his own recordings, with a current catalog of nine CD’s and the live DVD. The first CD,“JazzPunk”, was released in 1999. A recording of standards and covers written by Fuze’s idols and mentors, each tune was reworked in his distinctive musical combinations. His 2000 CD, “Amandala” by Headless Torsos, is an instrumental continuation of Screaming Headless Torsos. David also bought back the rights to the first two Screaming Headless Torsos CD’s, which were re- released in 2001. 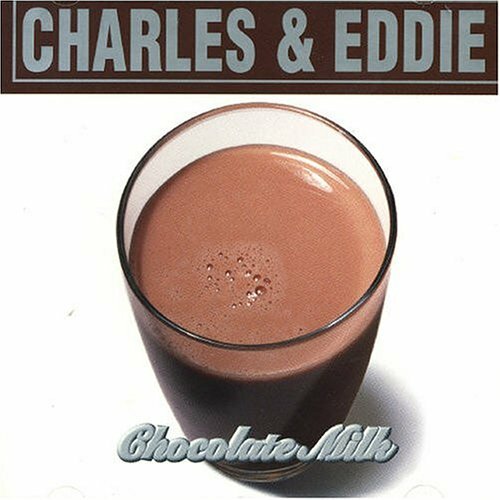 Other recordings are “Black Cherry Acid Lab”, a mixture of funk-rock, rap and punk with vocalist Ahmed Best and saxophonist Mark Shim, and “KiF”, a world-funk-jazz group featuring electric five-string cellist Rufus Cappadocia, both released in June 2003. 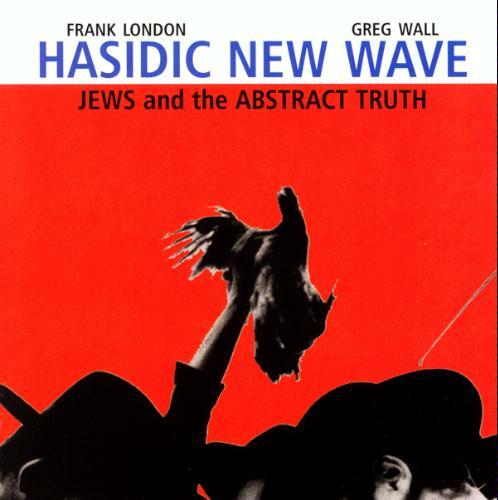 Fuze released another KiF CD in Fall 2007, which was a continuation of his interest in blending Eastern sounds with Western grooves; and a David Fiuczynski guitar instructional DVD. David was born in Newark, NJ on March 5th, 1964, and moved with his family to Germany when he was eight years old. He returned to the United States for college, and was awarded a Bachelor of Music from the New England Conservatory in 1989, where he has recently returned to complete a Master’s Degree. He is a full-time faculty Professor at Berklee College of Music in Boston and lives with his wife, film director Madoka Raine, and 5 year old son Sky in Watertown, Massachusetts. David "FuZe" Fiuczynski's music is often described as unclassifiable, challenging, and invigorating. 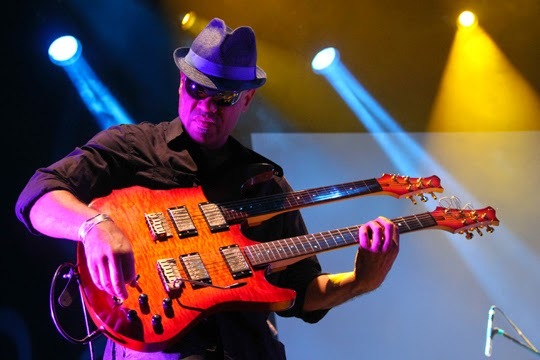 Fiuczynski leads the underground cult band Screaming Headless Torsos and has toured and/or recorded with Jack DeJohnette, Stewart Copeland, Meshell Ndegeocello, Rudresh Mahanthappa, John Medeski, Hasidic New Wave, and many more and performed at festivals all over the world. 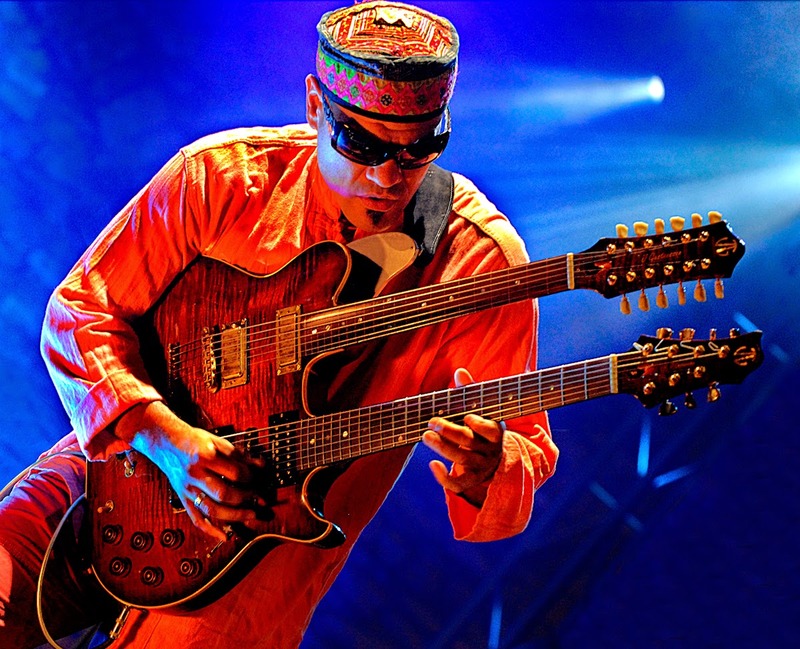 His recent music melds traditional melodic elements from the Middle East, Asia, India, and Eastern Europe, with rock, funk, electronica, and other styles. This concept started on a gig in Morocco in 1992. The Moroccan players noted that Hendrix visited the country and this gave Fiuczynski an idea—hard grooves with Eastern-inflected melodies putting the listener into a very colorful trance—could this be the music that Jimi would play today? Fiuczynski's band "KiF" celebrates a living Hendrix who’s kickin' it in Casablanca and rocks the Casbah every Saturday night! Born in the U.S., David grew up in Germany where he was always interested in mixing and “fuzing” different music elements. FuZe studied with Dave Holland, George Russell, Bob Moses, Ran Blake, but equally important was the New York school of hard knocks with MeShell Ndegeocello, Bernie Worrell, Billy Hart, Ronald Shannon Jackson and the Black Rock Coalition. Returning to New England Conservatory, FuZe received a master’s degree (2008) with a focus on microtonality, studying with Joe Maneri, Indian sitarist Peter Row, Turkish music specialist Bob Labaree, and Chinese ghuzeng player Shin Yi Yang. Fiuczynski is a 2009 Mass Arts Council Fellow in composition and also the director of the Planet MicroJam Institute at Berklee College of Music: "At the crossroads of new beats, microtonal harmonies, and eastern melodic inflections and improv concepts, new musical ideas are on the horizon. New possibilities emerge from the collision of sonic esthetics from our increasingly shrinking global village. The aim is to create music that sounds like a Gauguin painting—a raw, powerful, extremely colorful mix of Eastern and Western elements." In 2012, the institute ensemble performed the Fiuczynski Guggenheim Fellowship piece, tentatively titled "Flam—Asian microJam for J Dilla and Olivier Messiaen." It breaks new ground by incorporating microtonal birdsong-based melodies, J Dilla-inspired hip-hop beats, Japanese court music, Chinese folk songs, Indian alaps, and Turkish invocations. At the concert, audience members will see various birds on a video screen and hear their birdcalls, then listen as those sounds are interwoven into the music. "Olivier Messiaen, a French composer and ornithologist who used birdsongs in his music, was a major influence," says Fiuczynski. "Messiaen's birdsongs, Dilla's beats, and Eastern music, share a rhythmic device called a "flam". I thought this would be a very unusual way to combine all of these styles that I love." Why do you need music? Why do you pick up the guitar as your tool? was lucky to have Markus Wienstroer as a teacher in germany, very inspiring, ONE great teacher can truly make a difference in your life!!!!! Which work of your own are you most proud of? - Billy Hart - another great drummer! What means rhythm for you? === i hinted at it above, but often it gives me an inexplicable feeling of hope!! What was the first solo you learned from a record — and can you still play it? What’s the difference between a good guitar and a bad guitar? ==== its a double edged sword. an independent musician can get world wide exposure and market their music, at the same time everyone can just take whats yours. Also in the current digital/online culture music sells everything.....except music. And this is very perverse to me. A valuable advice that someone has gifted to you in the past?
" always record your sessions, jams and gigs and LISTEN BACK FOR THE GEMS THAT HAPPENED"
in other words don't focus on mistakes, but build on the positive moments. This applies not only to music but LIFE itself. ==== my Campbell American guitars !!! also, I need more Fryette amps in my life!! What dead artist -any time, any genre- would you like to have collaborated with? ==== hard to say.....but there are some collaborations that i would like to have seen like Eric Dolphy with Thelonius Monk. Hendrix with Miles Davis (more than the bootleg that has been circulated). This is in the past. In the future I'd like to see a middle eastern version of Nina Hagen with Planet MicroJam! What’s your latest project about? Elliott Sharp, Jim O'Rourke and Yoshihide Otomo.